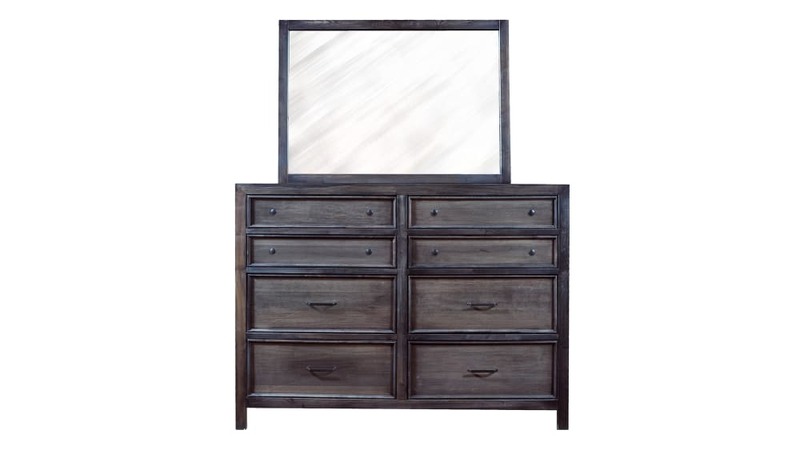 Beautiful and Rustic, The Breighton Truffle Dresser and Mirror provides you with immeasurable style! 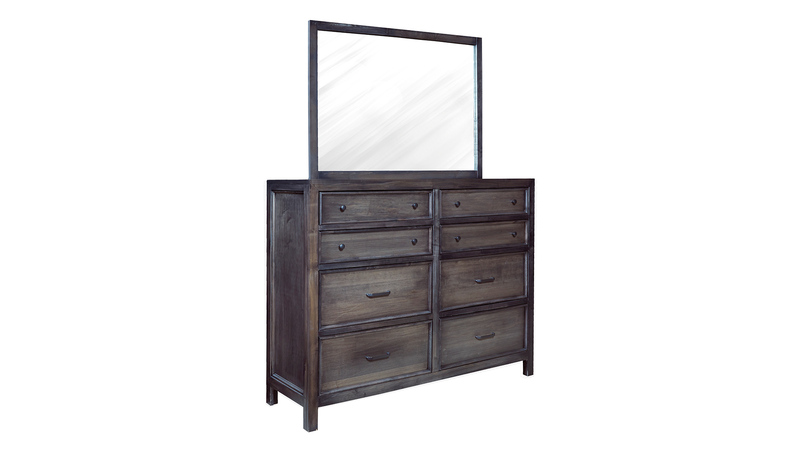 Eight drawers can hold all your clothing, valuables, and more, and the large mirror gives you and your loved ones a place to prepare for the day. Invest in your home at Gallery Furniture TODAY!